Nothing says date night better than candles, wine, and chocolates! 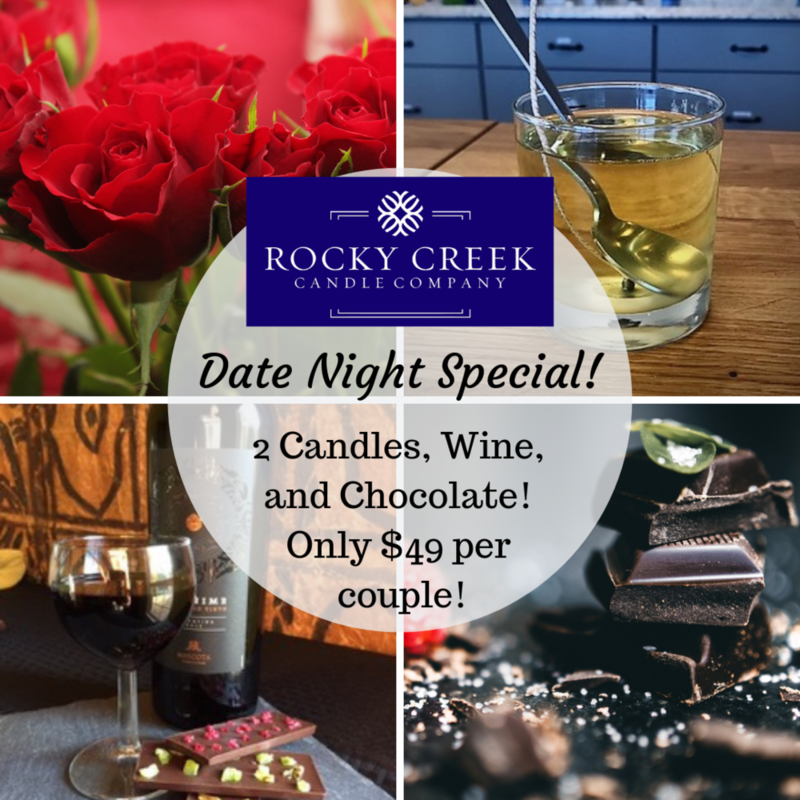 Rocky Creek Candle Company, Destinations Wine Bar, and CocoaVina Chocolates have come together for a unique experience. For each group of two, each person will pour their own candle with a custom fragrance in an 10 oz container of their choice. Enjoy a glass of red or white wine provided by Destinations Wine Bar and nibble on artisan chocolates from CocoaVina expertly crafted to pair beautifully with each wine. Everyone is guaranteed to have a fun and memorable time together during their candle-making experience. Calling all Mothers! Calling all Mothers! We have created an event as unique as you to begin the celebration of your special day! Tired of the traditional tea? We decided to spice things up and combine it with two of our other favorite things, candles and painting. It's the perfect way to bond even more with that special someone as you both pour your own candles, paint a sign together, and enjoy some delicious tea and refreshments. As is our favorite way, we'll begin with creating your candles. You and your guest will choose any two of our tumblers, squares, or octagons you like and then it's off to the scent wall to find your favorite fragrances! Once you've filled out your clipboards, join our Scent Specialists at the bar and they'll help each of you come up with the perfect fragrance combinations to pour into your candles yourself. The two of you will have worked up quite a thirst by this point and tea is the perfect quencher! We have Jennifer from Spice and Tea Merchants of McKinney who will be supplying the scrumptious tea and refreshments for us. There will also be blueberry and orange cranberry muffins, and an absolutely divine pumpkin dip with ginger snap cookies. Trust us, your taste buds will thank you. After your candles are mixed and cooling and you've started to enjoy your tea, it's time for the next fabulous part, painting your sign together! This portion will be led by April Kwan from Sweet Signs of Mine. You will choose your board, stencil, and paint and she will guide you through the stencil process to bring your creation to life! There will be a variety of sign options to choose from when you arrive and plenty of paint colors to make your sign however you like. While painting, if you decide you would like to make a second sign, you may do so for an additional $10 payable at that time. FREE gift for the first 500 kids! FREE gift for the first 500 moms! Please respect the Fairview Town Center businesses that make these events possible and refrain from brining outside food. Thank you. *No tents or shade structures please. **Movies scheduled are subject to change. Make plans to check out this fun event benefitting Children’s Advocacy Center of Collin County. Come check out all kind of vehicles - from classic to up to the minute! Come learn about all the great Summer Camp options at iCode! Join the folks at Toni & Guy for a Night of Beauty - RSVP and reserve your spot today! Here's a perfect night out guaranteed to give you a green thumb! 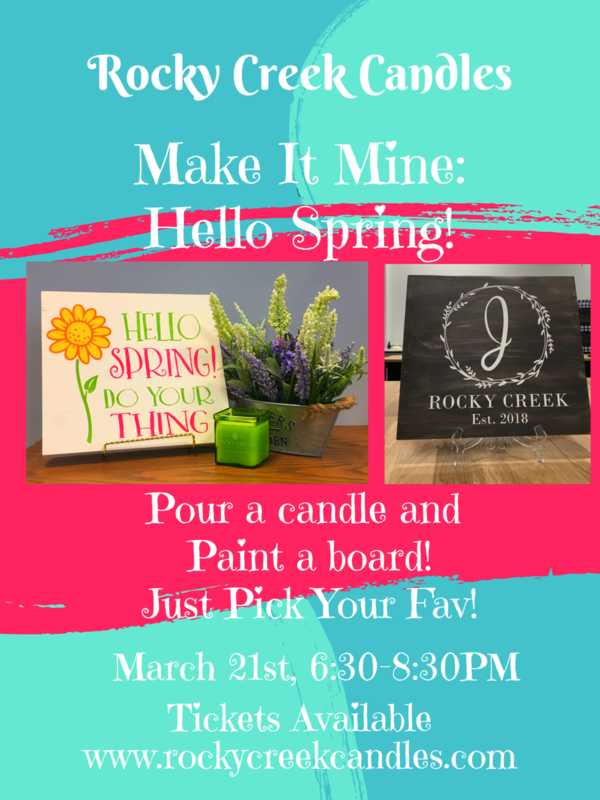 Rocky Creek Candle Company will be combining two of their favorite things, pouring candles and creating succulent planters! You'll start by working with a Scent Specialist to create your one of a kind fragrance. Grab your clipboard and then begin going through 100 different fragrances to find your favorite ones. Once you've found the best ones, you'll head to the bar where your specialist will help you create the perfect combination and you'll get to mix it into the natural soy wax in our signature white jar yourself. Be sure to get here promptly so you have plenty of time to browse and let your candle set before it's time to go. While your candle cools, we'll give the floor to Gisella Kaendler of Plant and Sip to guide you through creating your charming little planter. With Spring just beginning, this is a great way to celebrate the season and bring some fresh air into your home. The first day of Spring is here, which means an excuse to celebrate! Make Your Own Custom Home Decor! Pour your own 8oz Green Square Candle with natural soy wax and customized fragrances! Paint your own "Hello Spring! Do Your Thing" Daisy on a 12"x12" wooden board! The evening will begin our favorite way by working with one of our Scent Specialists to create your own unique blend of fragrance for your candle. With 100 scents to choose from, we recommend you arrive on time to be able to try them all and to give your candle plenty of time to cool and set before you leave. Once you've chosen your favorite fragrances to blend, it's time to have a seat at the bar to mix up the fragrance oils into the bright green jar! Your specialist will help you find the perfect combination so you can send your spoon dancing through the wax. Now that your candle is done, it's time to paint your sign! This portion will be led by April Kwan from Sweet Signs of Mine. She will set you up with your board and paints and will guide you through the stencil process to bring your daisy to life! No green thumb needed to keep this flower smiling all spring long! Now if daisies aren't your thing, you can still choose to do the "Family Established" board with your personal Letter and Date. Just let us know which one you'd like to do when we send your confirmation email. There will be refreshments available, such as hot tea and coffee as well as water and soda. We will also have a variety of cookies to enjoy. This event will be BYOB, but please limit it to one for safety. P.S. As an added bonus, there will be a door prize for whoever's painting gets the most likes on Facebook! Be sure to let all your friends know so they can watch the page and boost your chances of winning! Come out and get your St. Patrick's Day weekend started right! Who doesn't love working up a thirst being creative and then quenching that thirst with a nice, refreshing beer? That's right, we're in Texas and that's just the way of life around here. We'll begin the night by working with a Scent Specialist to create your one of a kind fragrance. You'll pick any of our 8oz jars for your candle and then get to work going through 100 different fragrances to find your favorite ones. Once you've found your favorites, you'll head to the bar where your specialist will help you create the perfect combination. Be sure to get here promptly so you have plenty of time to browse and let your candle set before it's time to go. 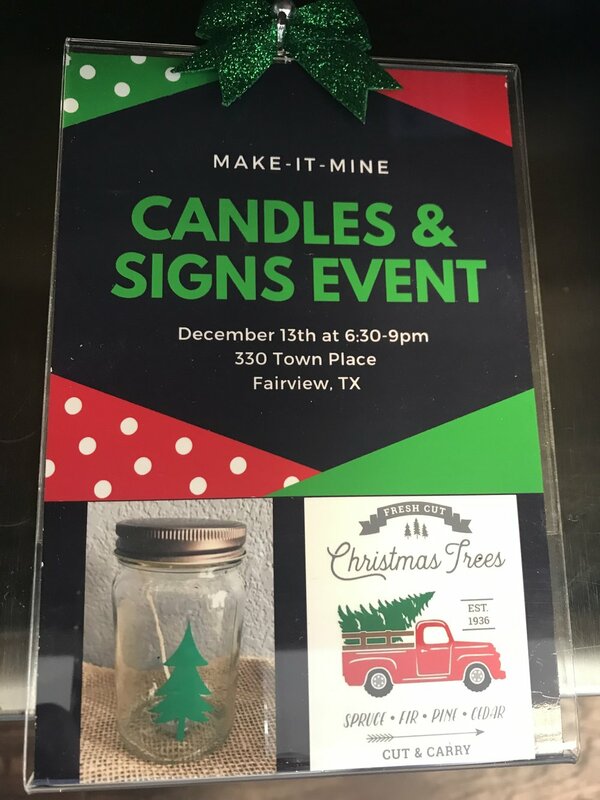 Once you've made your candle, you'll head over to the beer tasting event by one of Allen's own local brewers, Nine Band Brewing Co. They will bring a few of their favorite brews to sample and share with us a bit of their history and some fascinating facts about their product. There will be refreshments available, such as hot tea and coffee as well as water and soda. We will also have a variety of cookies to enjoy. Killarney’s Live will have additional seating outdoors in front of the pub on Saturday evening. Come celebrate! 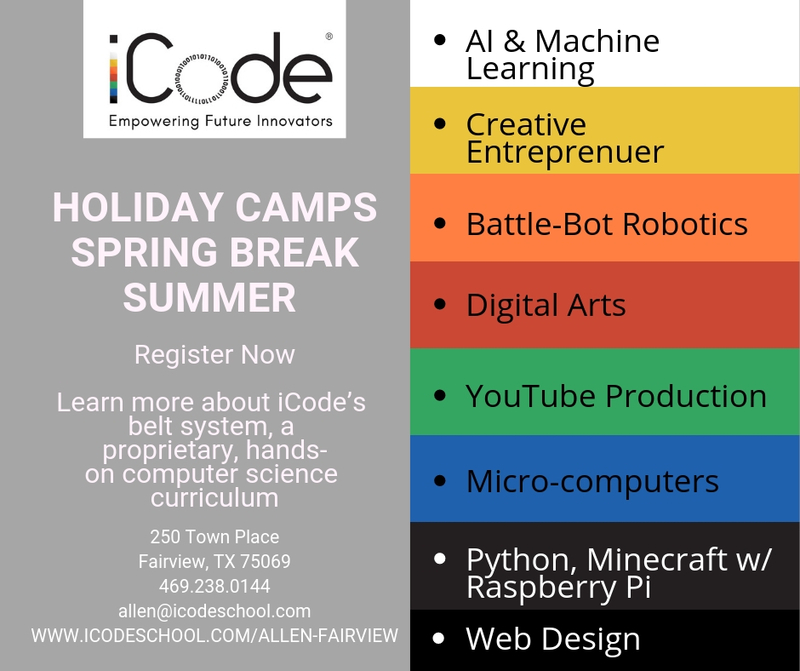 Check out these great Spring Break Camps available at iCode. Come out for what is sure to be an incredible night! Who doesn't love working up a thirst being creative and then quenching that thirst with a nice, refreshing cup of tea? That's right, we're in Texas and that's just the way of life around here. While your candle cools, come immerse yourself in the world of tea! Learn about different types of teas, the exotic places they come from, and how to properly brew the perfect cup. Enjoy samples of the 5 major types of tea: Black, Oolong, Green, White, and Herbal. Then sample some snacks made with Spice and Tea Merchant's line of spices and seasoning blends. Trust us, your taste buds will thank you! 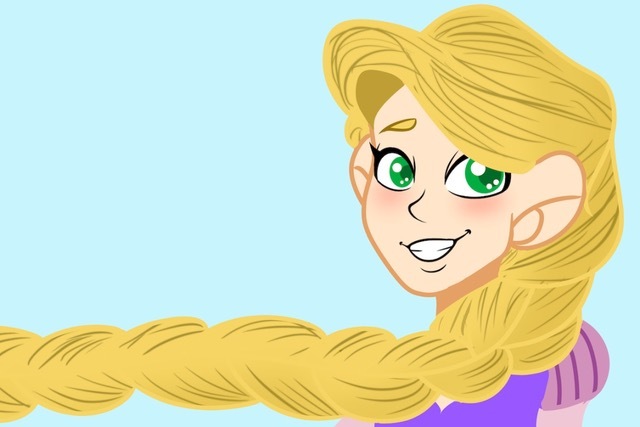 Visit an enchanted fairy tale land with dragons, a handsome prince, an evil would-be Queen, a really great hair stylist, and that famous princess with the long, long, long hair! Hold on to your hair and prepare for a brand new magical musical re-telling of the classic fairy tale! 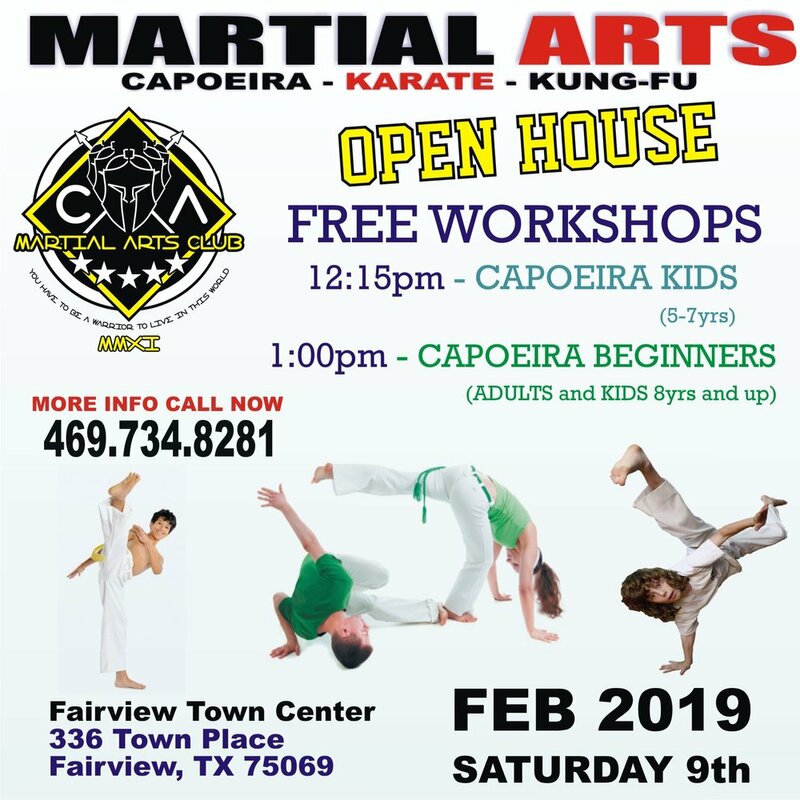 Come check out all the martial arts programs available at CA Martial Arts. FREE workshops! Meet the instructors! 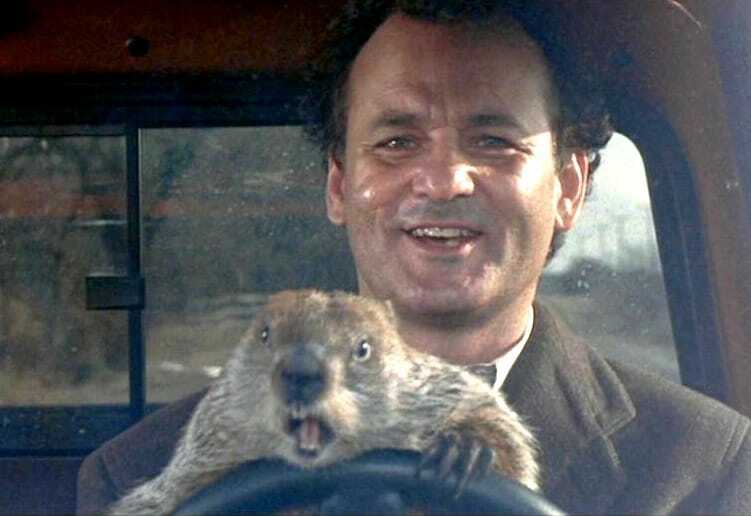 Come watch the classic movie Groundhog Day - over and over and over and over…. We’ll be screening Groundhog Day, starring Bill Murray and Andie MacDowell, on a continuous loop starting at 10am in The Park. Grab some takeout from one of our awesome eateries and join the fun. Feel free to bring your blankets and camp chairs (no tents please) and enjoy the show! Participants will blend oil fragrances to create their own personally scented mason jar with Christmas tree candle. Participants will paint to create a “Fresh Cut Trees” Christmas sign on a 12x12 board. Refreshments, water and soft drinks, coffee, tea, hot chocolate and cookies, will be served. Both candle and sign will be ready to take him the night of the event. *This event is not suitable for small children. Join Santa for a character breakfast at Fairview Town Center. 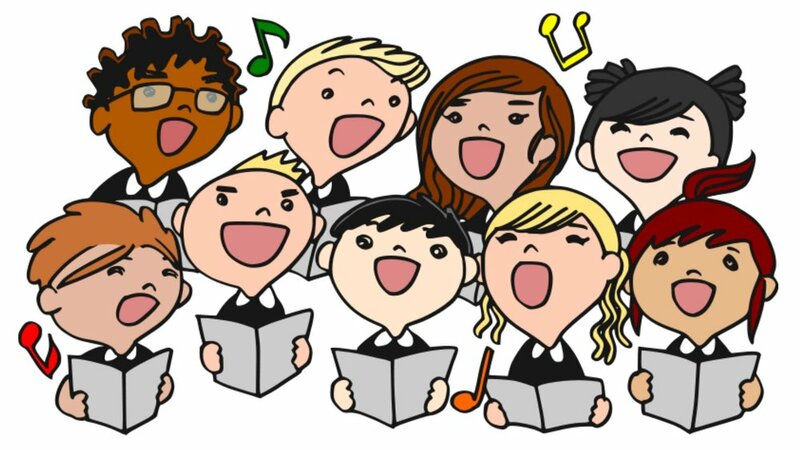 Looking for a place for your choir, band, orchestra, dance, theatre, cheer, gymnastics, martial arts, etc. group to perform? Look no further than Fairview Town Center! We invite local schools, preschools, churches, performing arts groups, martial arts schools, etc. to perform and are currently scheduling groups for the 2018 Holiday Season. We make our stages (we have two) available to local performing groups FREE of charge and schedule performances November 18 - December 24 (except Thanksgiving Day) on the hour starting at 10am and through 8pm. Our newest venue, The Park Stage, will be opening this Fall and have a state of the art audio visual system including a 16’x9’ LED display and a comprehensive sound system - most groups will be able to plug in and go! Interested in performing? Email wellis@lpc.com for information or to scheduled a date and time. And be sure to check back as we get closer to the Holiday Season for a complete performance schedule! *Offer valid for one (1) game of bowling and shoe rental. Based on availability. RSVP does not reserve lane. Good for 11/17/18 only. ** Offer valid for one (1) $5 arcade card. Based on availability. Good for 11/17/18 only. Bring your family and come enjoy Santa’s Winter Wood - the magical new Santa experience at Fairview Town Center. Enjoy a relaxed visit in our 10,000 square foot space which includes Indoor Snow, a children’s art area staffed by the pros at The Goddard School, a coffee bar with drinks and snacks available for purchase by Cream & Sugar, a Christmas store with new merchandise offerings, on site restrooms and baby changing stations, and much much more. You can also visit our blog that shares information and photos about Santa’s Winter Woods HERE. At Santa’s Winter Woods, we do not ask you to choose from photo packages that we created - each family builds their own package. Your $25 booking deposit includes your special time with Santa and one 5x7 print or a $25 credit towards the purchase of any digital products. There is no cash back at the set. Mark Your Calendars - the 6th Annual Candy Canes For Kids featuring I Am They is November 17, 2018 at Fairview Town Center! Make plans now to attend for a day of family fun - all benefiting Children's Advocacy Center of Collin County. The concert is FREE but we do ask that everyone bring a toy or book for our Toy Drive benefiting children served by Children’s Advocacy Center of Collin County. Candy Canes Tree Build - Purchase peppermint sticks for 2 for $1 and help us build trees. All proceeds benefit Children’s Advocacy Center of Collin County. Toy Drive benefiting children served by Children’s Advocacy Center of Collin County. Each character appearance is for one hour. Each character visit requires one ticket - if there are two characters at the same time and your child would like to meet both, each character requires a ticket. We'll be giving away some terrific prizes- including a suite party for 24 for Disney on Ice Frozen at Allen Event Center! Each activity ticket you use is an entry. * Prizes will be given away all day form the stage! You must be present to win the Disney On Ice Party at The Park between 5pm and 6:15 pm. Activity tickets will be on sale at ticket booths located throughout the event area. Tickets are $1 each or 6 for $5. Activities require 1 or 2 tickets each. 100% of the proceeds benefit Children's Advocacy Center of Collin County. *No purchase necessary to enter. If you do not wish to purchase activity tickets, you can enter at the ticket booth closest to the stage. The Rain Date is December 1, 2018. Santa’s Winter Woods opens in just 10 days - if you have driven by lately its sure beginning to look a lot like Christmas. The set is nearly complete! Our seamstress has also been hard at work, and we wanted to share what Santa’s new costume will look like with all of you. The first photo (Immediate below) gives you the side view - keep in mind that in this lighting the vest looks a bit more rusty red than it really is. In the second photo (second below) is straight on and more true to color. These costumes have been custom made to coordinate with the Santa’s Winter Woods experience and e hope you like them as much as we do! Have you made your family’s appointment yet? Be sure to visit www.FTCSanta.com and book today! It’s hard to believe but the booking web site for appointments at Santa’s Winter Woods will open to the public on Monday (10/15/18) - maybe even a little sooner. Christmas is just around the corner and preparations are well underway. Over the next four weeks, you’ll start seeing decorations and signage installed and you’ll see more and more posts on our web site and social media about the Holidays. Inside this atrium it will be snowing - that’s right, SNOWING! INSIDE! After your visit with Santa, the kiddos will be able to visit the art area or the play area while you select your photos and package and shop in out Christmas store. There will even be a coffee bar with drinks and snacks available for purchase. We hope you are as excited to visit this new Santa experience as we are to bring it to Fairview and your family. In our next post, we’ll give you a sneak peak at some of Santa’s new costumes. In the mean time, we’ll post the link to the new booking web site no later than Monday, October 15th. Questions? Feel free to email them to wellis@lpc.com. Last post we promised you a look at our new booking site and we are ready to share. One of the most frequently asked questions we get is, “Why do I have to make appointment changes from the confirmation email - why can’t I just go directly back to the web site and make changes?” You asked, we listened - this year you will be able to go back to the booking web site and make changes as well as use the link in the confirmation email. 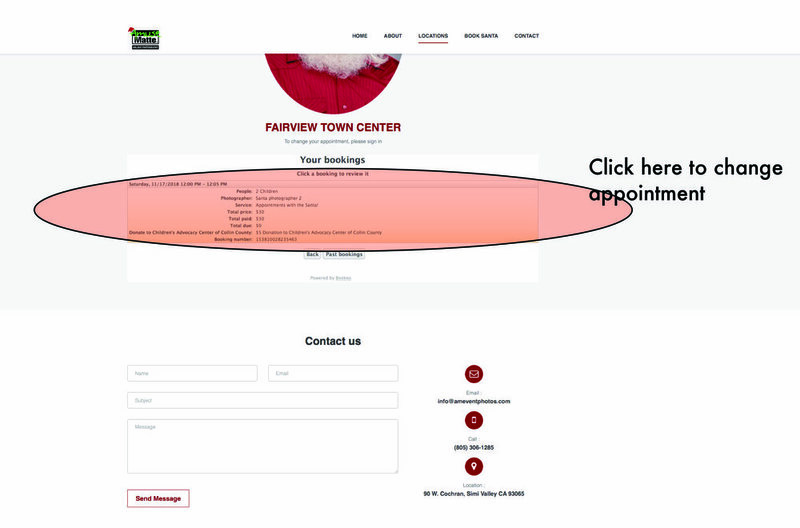 Click where shown and you can make changes to your appointment as long as you are doing so at least an hour before the scheduled appointment. Other changes include a Contact feature available at the bottom of every page for phone, email, and snail mail and access to the FAQ’s from any page. We hope you will find the new site and these new features helpful. The booking web site will go live on October 15, 2018 - we’ll come back and update this post with the link that day. 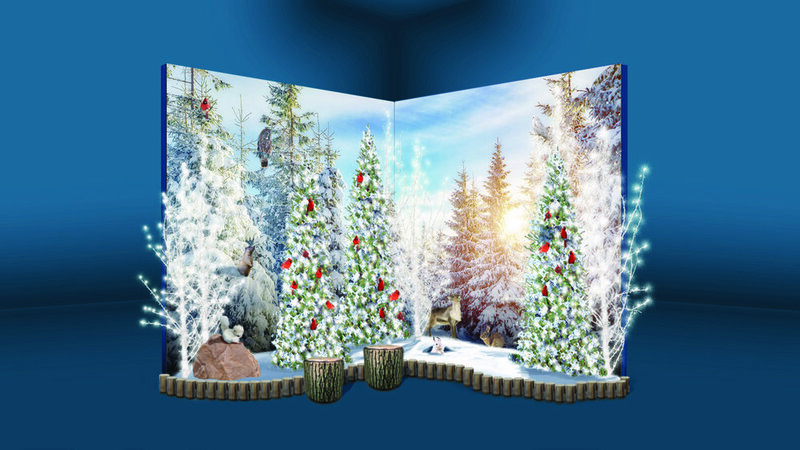 Next up - you will get a look at our brand Santa’s Winter Woods decor and we’ll be telling you all about the new experience and what you and your family will see and experience when you visit. Have you ever wondered what goes in to stocking all the merchandise at the Santa Experience? Believe it or not, we start working on this in January or February and our team has been looking at Christmas items for months! Our orders were placed in May are now arriving September and October! Last year, after we sold out of wooden the “Joy” frame in two weeks, many of you told us that you would love to see some additional retail offerings - so we have added some really wonderful merchandise to the retail part of the Santa experience for 2018. Wreaths, stockings, ornaments, Cookies For Santa sets, and mugs are just a few of the items you’ll see in the retail section of the new Santa Experience. Most items sell for under $30 and there are tons for great ideas for teacher gifts, grandma, friends - just about anyone. You’ll also find some wonderful items for your home, and of course, the traditional frames, key chains and even an advent calendar. Our favorite - the mugs that come on matching boxes - grab a bow or ribbon and you are good to go! In our next post, we’ll be showing you our new booking web site (yes, there will be a new URL for this year) - stay tuned…. One of the most fun decisions we make each year is what will the Santa gift be? More than 10,000 kiddos visit each season and that makes choosing an item that works for all ages and all families a challenge. In the past we have always gone with candy - it's a classic for a reason - but many of you have told us you would prefer another option. So this year, we decided to change it up a bit. 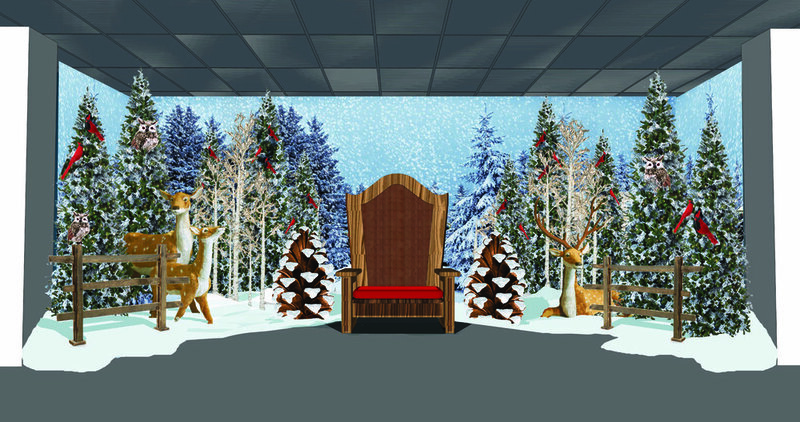 One of the things we have always wanted to do is to incorporate art in to the Santa Experience. This year, with our new larger space and with some help from our friends at The Goddard School, we will be able to do just that! Each child that visits with Santa will receive an unfinished wooden ornament (pictured above). The kiddos, with some help from the folks at The Goddard School, will then be able to decorate their ornament (pictured right - with apologies for the lack of artistic talent) in the art area. Staff from The Goddard School - who know a thing or two about working with kiddos - will be on hand to assist the kiddos during most Santa hours. Each ornament will be finished with a special sticker noting the child's name and the year. But that's not all.... we will also have a second art project available where the kiddos will get to leave their mark on the Santa Experience. 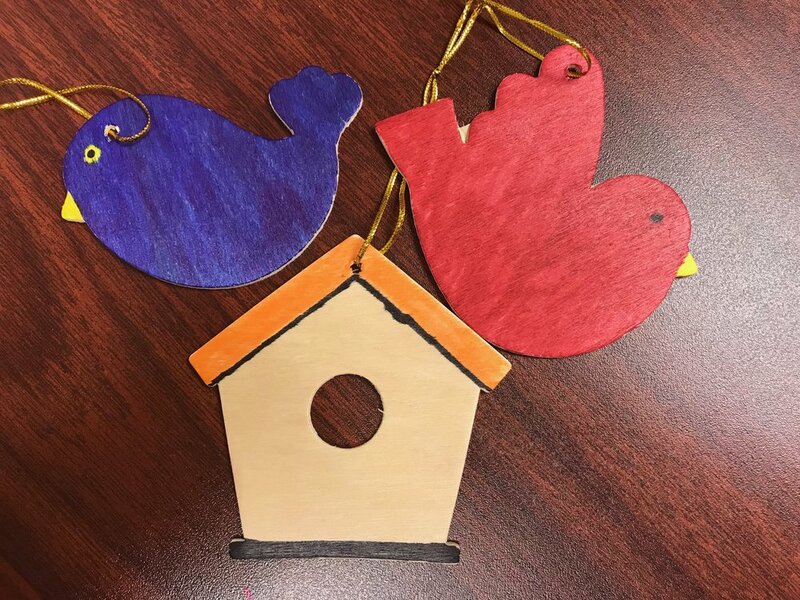 Kids will have the opportunity to create a paper cardinal, write their name on it, then pin it to the cork Christmas trees that will be part of the art area. Our goal is to have every child who visits create a cardinal for the trees and to fill the area with the art the kids create. 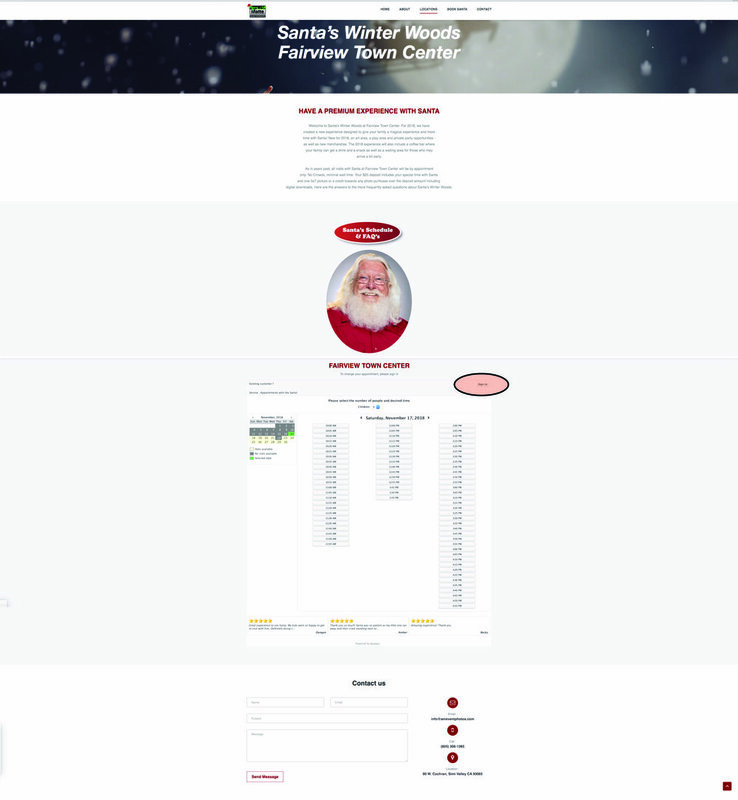 We want your family's experience with Santa at Fairview Town Center to be exceptional. Adding art, and partnering with the experts at The Goddard School to help the kids with their projects, is just one more way we are working to create something amazing for your family. 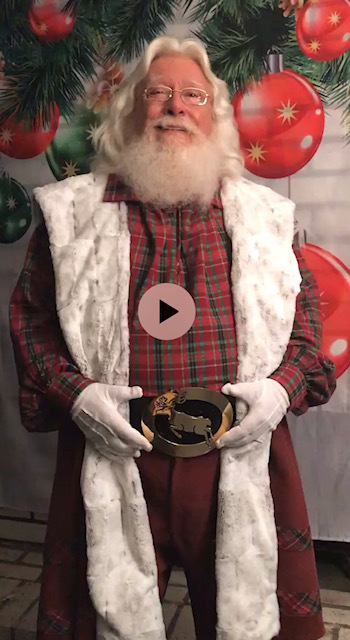 One of the questions we are asked over and over each Holiday Season at Fairview Town Center is "How can I arrange a private visit or party with Santa?" In the past, that was just not possible (for a variety of reasons) but this year, as part of our new Santa experience, Fairview Town Center can make that happen. Our new space, which will be located at 102 Fairview Station Parkway behind The Container Store, is almost 10,000 square feet! As a result, we have the opportunity to make private parties with Santa available November 26-29 and December 3-6, 2018 in the evenings and on select weekday mornings in late November/early December. Parties are available at the Santa space at times when the photo operation is closed for the day - Santa, the photo staff, the photo space, and the party team are all yours! We can accommodate between 20 and 100 guests (there is a 20 guest minimum) between 6:30 pm and 9:00 pm November 26-29 or December 2-6, 2018. Whether you are looking for a basic group Santa visit, an event with treats (hot cocoa and cookie bar anyone) or a party with full catering, we can make it happen. All parties include photos with Santa and special features like story time with Santa, cookie decorating or a special craft can be incorporated in to your event. We can even create a special "nice list" with your guest's names! Interested in making your Holiday party one to remember? Want to give your kiddos and their friends the experience of a lifetime? Email wellis@lpc.com or call 972-363-2215 for additional information, prices and to reserve dates. 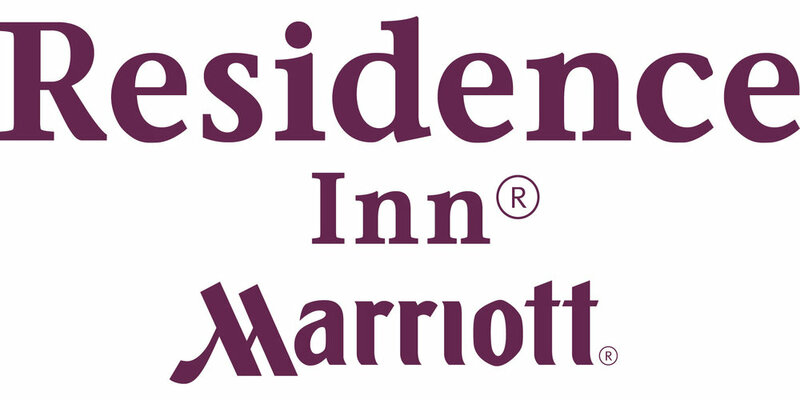 We offer packages starting at just $25 per person. As many of you know, 2017 was a difficult year for Fairview Town Center - our long time Santa character "The Big Guy" passed away. We know how heartbreaking this was for our families - many of you had never taken your kiddos to any other Santa. Moving forward for 2018, we want to keep all of our loyal families informed about what the Santa experience at FTC will be like in 2018. We will be updating this page as we get closer to the holiday season with information we feel will help you understand the experience we are creating. These updates are intended for adults, not for the kiddos. Meet our FTC Santa! We are so thrilled to welcome Santa to Fairview Town Center for 2018! He is an amazing man and is thrilled to have the opportunity to share all of his Holiday adventures with your family. We worked hard to bring your family a Santa character in keeping with the traditions that you have told us mean so much to your family and truly believe you will love him as much as we do! 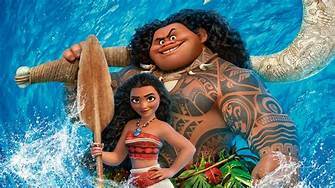 Tickets are $30 per person and include breakfast, a goodie bag for each child and a visit with Moana and Maui. Children age 1 and up must have a ticket. Children must be accompanied by a paying adult - we can not seat unaccompanied children of any age. This is a character breakfast, so the characters will move from table to table. Parties of 2 and 3 may be seated at a larger table with other guests. 100% of your ticket purchase goes to CACCC and is tax deductible. Join us for the Pride Amusements Carnival November 15-18, 2018. 10% of all ticket and wristband sales will be donated to Children’s Advocacy Center of Collin County! SATURDAY, 11/17 - Open at 11:00 AM. There will be two wristband sessions - one starts at 11:00 AM and one starts at 4:00 PM. Each session is $20. SUNDAY, 11/18 - Open at 1:00 PM. There will be two wristband sessions - one starts at 1:00 PM, and one starts at 5:00 PM - each session is $20. Hours are subject to change based on weather. Wristband availability is subject to change based on weather and/or height and safety requirements. Wristbands are not available to anyone under 32" tall. Tickets are always available at $1.00 each. Each ride takes 3-4 tickets. Come join the fun at the Elliott’s Hardware Grand Opening Celebration! Enjoy special discounts, an appearance by an Allen Americans player and mascot Biscuit, activities, demos on a more.! For showtimes and ticket information, please click HERE. For show times and ticket information, please click HERE.